The 17 Day Diet is a carbohydrate cycling diet fashioned by Dr. Mike Moreno. It can be followed for weight loss or to maintain a healthy weight. 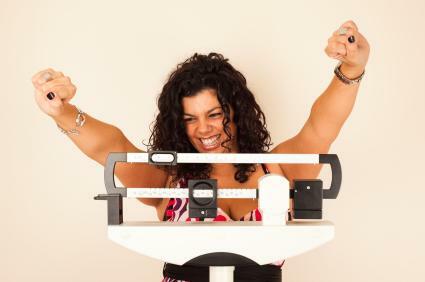 While originally designed to help people get rid of holiday weight gain fast, once Dr. Moreno appeared on TV shows like Dr. Phil the diet's popularity skyrocketed. Dr. Moreno originally created the 17 Day Diet in an effort to help people who needed to lose weight they gained over the holidays, or for those who want to avoid those unwanted extra pounds in the first place. In truth, this diet can be followed any time of the year to help people drop weight fast and to keep it off. While the diet's name may lead people to think they will lose all their unwanted weight in 17 days, in reality, it is comprised of a series of 17 day cycles. Each cycle changes what foods you should eat. However, Dr. Moreno suggests people can lose 10 to 12 pounds in the first 17 days. This diet tracks carbohydrates, but it is different from other low-carb diets. The approach taken with the 17 day cycles is known as carbohydrate cycling. It requires adjusting the consumption of carbs based on what phase of the diet is being followed. While some phases severely restrict the intake of carbohydrates, other phases allow foods higher in carbs. This is similar to calorie shifting but with a focus on carbohydrate intake. Dr. Moreno suggests that shifting the number of carbs eaten will confuse your metabolism and contribute to faster weight loss results. Takes a healthy approach that encourages eating natural foods. The different 17-day cycles allow for changes in foods which can help eliminate the boredom that often sets in with long-term dieting. The plan is uncomplicated and easy to understand what foods to consume. Offers ideas for meal plans and includes low-carb recipes to keep meals interesting. Suggested exercise only takes 17 minutes. Calorie intake may be too low for people who are active. This plan is not suitable for diabetics. This diet may not be suitable for people susceptible to eating disorders as the irregular eating patterns may potentially trigger disordered eating. The first phase of the diet, the Accelerate phase, dramatically reduces carbohydrates much like the induction phase of the Atkins Diet. This approach brings about rapid weight loss and promotes fat burning. The Activate phase introduces carbohydrate cycling. The goal is to reset a sluggish metabolism to encourage continued weight loss and provide the help needed to avoid weight loss plateaus. The Achieve phase adds previously restricted foods back into your menu options. This phase is designed to help dieters learn how to establish healthy eating habits for life. Arrive is the final phase of the 17 Day plan. It is designed to help people maintain their weight loss for life. It encourages healthy eating throughout the week and leaves a little room for indulgence on the weekends. Along with an carb cycling eating plan, this diet recommends a 17-minute exercise routine to be followed six days each week. For those who need guidance in how and what to do for exercise, a DVD is available. Is It Appropriate for You? While this plan was originally designed to help people avoid holiday weight gain, it can be followed at any time of the year to achieve weight loss. If you think this 17 Day plan sounds like it might be the solution you've been looking for to lose weight, talk with your doctor first. The low-calorie intake is not suitable for everyone. Your doctor knows your medical history, and he will be able to offer dietary guidance appropriate for you individually.